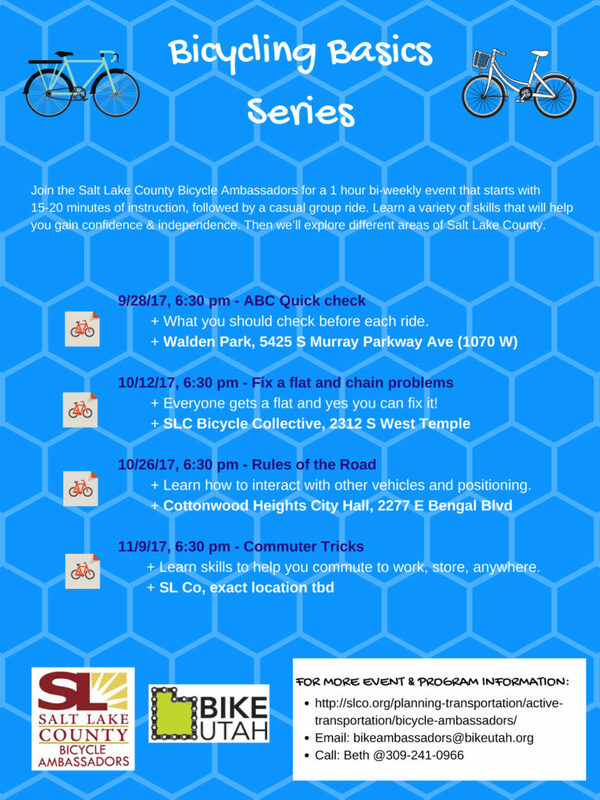 September 19, 2017 – Salt Lake City, UT – The Salt Lake County Bicycle Ambassadors will hold several workshops for new riders. The Bicycle Ambassadors are a program of Salt Lake County that promotes active transportation and recreational cycling and helps to engage new riders. + What you should check before each ride. + Everyone gets a flat and yes you can fix it! + Learn how to interact with other vehicles and positioning. + Learn skills to help you commute to work, store, anywhere.